FOX’s “24” will end tonight after eight seasons and 194 hours of episodes. 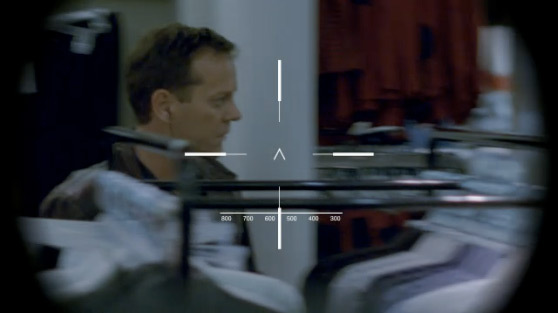 The 2-hour conclusion will depict the hours from 2PM – 4PM, as President Taylor gets closer to a “world-changing” peace treaty and Jack Bauer takes “matters into his own hands for one last and unforgettable job.” The finale will air 8 p.m. through 10 p.m. Eastern Time in high-definition 720p. 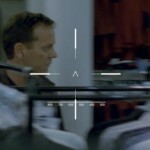 Questions from some fans of the show ask whether or not Bauer (Kiefer Sutherland) will die in the final episode. But this scenario seems unlikely given that a movie adaptation of “24” is currently being worked on by Kiefer Sutherland (producer) and writer Billy Ray (“Breach,” “State of Play”). its definitely crazy both Lost and 24 are ending the same week. both good shows but i thought lost could have gone on longer. It’s hard to believe that after 8 seasons the show is coming to an end. I hope they do keep him going and I definitely hope there is a film in the works!